GMO Free Regions, Sept 16, 2010 Straight to the Source This is reported in research (1) published by a group around Professor Andrés Carrasco, director of the Laboratory of Molecular Embryology at the University of Buenos Aires Medical School and member of Argentina’s National Council of Scientific and Technical Research. The Precautionary Principle, is an approach to chemical pesticides which is characterized by minimizing or eliminating potential hazards to human health, or the environment, at the onset of an activity rather than accepting a level of harm. REDUCING ENVIRONMENTAL CANCER RISK . What We Can Do Now. To support the Precautionary Principle here are very important direct quotes from the Presidents Cancer Report and pretty much describes why we need the Precautionary Principle on a local basis. “The prevailing regulatory approach in the United States is reactionary rather than precautionary. That is,instead of taking preventive action when uncertainty exists about the potential harm a chemical or other environmental contaminant may cause, a hazard must be incontrovertibly demonstrated before action to ameliorate it is initiated. Too often, these factors, either singly or in combination, result in agency dysfunction and a lack of will to identify and remove hazards. On May 26, 1992, George Bush’s Vice-President, Dan Quayle, proclaimed the Bush administration’s new policy on bioengineered food. In the F.D.A.’s nearby offices, not everyone was so sure. 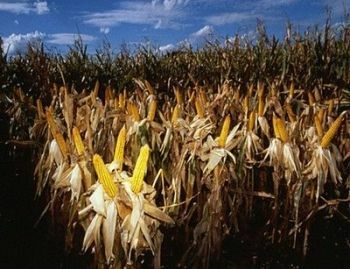 Among them was Dr. Louis J. Pribyl, one of 17 government scientists working on a policy for genetically engineered food. Dr. Pribyl knew from studies that toxins could be unintentionally created when new genes were introduced into a plant’s cells. But under the new edict, the government was dismissing that risk and any other possible risk as no different from those of conventionally derived food. That meant biotechnology companies would not need government approval to sell the foods they were developing. Dr. Pribyl, a microbiologist, was not alone at the agency. Dr. Gerald Guest, director of the center of veterinary medicine, wrote that he and other scientists at the center had concluded there was “ample scientific justification” to require tests and a government review of each genetically engineered food before it was sold. The scientists were displaying precisely the concerns that Monsanto executives from the 1980’s had anticipated – and indeed had considered reasonable. But now, rather than trying to address those concerns, Monsanto, the industry and official Washington were dismissing them as the insignificant worries of the uninformed. Under the final F.D.A. policy that the White House helped usher in, the new foods would be tested only if companies did it. Labeling was ruled out as potentially misleading to the consumer, since it might suggest that there was reason for concern. Benefits and concerns associated with biotechnology-derived foods: can additional research reduce children health risks? Genetically modified foods pose unique new health risks for children with food allergy. The development of techniques devised for the genetic manipulation of foods poses new risks for children with food allergy (FA). The introduction of foreign allergenic proteins from different foods into previously tolerated foods may trigger allergic reactions, often complicating with anaphylactic shock in a subset of allergic babies. Children with FA, even if subjected to preventative diets, always challenge the risk of developing allergic manifestations after unintentional intake of a non tolerated food in restaurant settings, with relatives or schoolmates, etc, where product labeling is necessarily lacking. The introduction of potentially allergenic proteins into foods generally considered safe for allergic children can be done deliberately, by either substantially altering the food ingredients, or by genetic manipulation which change the composition or transfer allergens, or unintentionally by quality control failures, due to contamination in the production process, or to genetic mis-manipulation. There is a controversy between multinationals often favored by governments and consumer association resistance, thus an equidistant analysis poses some unprecedented impediments. The importance of FA and the potential of transgenic plants to bring food allergens into the food supply should not be disregarded. The expression in soybeans of a Brazil nut protein resulted in a food allergen ex-pressed in widely used infant formulas, so paving the way to an often reported multinational debacle. Genetic engineering poses innovative ethical and social concerns, as well as serious challenges to the environment, human health, animal welfare, and the future of agriculture. In this paper will be emphasized practical concepts more crucial for pediatricians. There has been a concerted national effort by citizens to have the US government label GMOs. Opposing it are government intent not only to keep them unlabeled in the US but efforts at the international level by the US government to remove all labeling of GMOs through Codex. The problem is that Codex applies to food, and GMOs don’t qualify. Here is speech given by Ed Rosenthal as Chair of the Walk to Cure Juvenile Diabetes in 2007 on the research to find a cure for Juvenile Diabetes. Note the comments referencing Baby-DIAB and the TEDDY Study, The Environmental Determination of Diabetes in the young– dairy and wheat are trigrs. The TEDDY study – T he E nvironmental D eterminants of D iabetes in the Y oung – is looking for the causes of type 1 diabetes mellitus (T1DM). T1DM used to be called childhood diabetes or insulin-dependent diabetes. T1DM occurs when special cells in the body, called the beta cells of the pancreas, are destroyed by the body’s infection fighting cells, called immune cells. When these beta cells are destroyed, the body cannot make the chemical insulin. Insulin is needed for the body to use food. Insulin helps keep the sugar level in the blood normal. If there is no insulin in the body, the sugar in the blood becomes high and this makes someone sick. Children with type 1 diabetes must take insulin shots and monitor their blood sugar levels several times a day to stay alive and healthy. Research tells us that children who get diabetes have certain kind of genes. Other children who have these genes are at higher risk for getting diabetes. However, not all children who are higher risk get diabetes. We think that something happens that “triggers” or causes a child with higher risk genes to actually get diabetes. It is the purpose of this study to try and find out what are the triggers that cause children to get diabetes.